Target creature gets +4/+4 until end of turn. Cycling 2G (2G, Discard this card: Draw a card.) 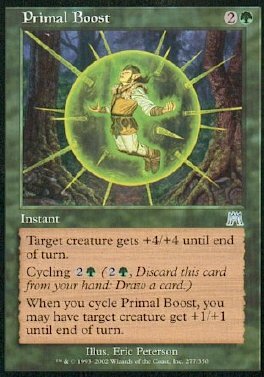 When you cycle Primal Boost, you may have target creature get +1/+1 until end of turn.